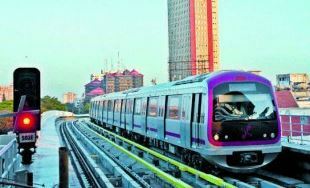 New Delhi: Japan International Cooperation Agency (JICA), which has provided loans for metro rail projects in the country, has shown “keen interest” in supporting six more such projects whose total debt component stands at over Rs 38,700 crore. Hideaki Domichi, Senior Vice-President of JICA today met Urban Development Minister M Venkaiah Naidu and held detailed discussions in this regard. He enquired about the progress of the six projects – Delhi Metro Phase-IV, Pune Metro, Vijayawada Metro, Chennai Metro Phase-II, Thiruvananthapuram Light Metro and Kozhikode Light Metro Projects – which are under consideration for approval, an official release said. The funding pattern for the government-funded metro projects entails a debt component of 50-60 percent with most of it coming through sovereign bilateral and multi-lateral development agencies. The debt component for Delhi Metro Phase-IV is Rs 29,160 crore, while that of Pune is Rs 4,665 crore and Vijayawada Rs 3,600 crore. Thiruvananthapuram Light Metro has a debt component of Rs 805 crore and Kozhikode Light Metro Rs 473 crore. The total debt component of these projects is Rs 38,703 crore. JICA had earlier sanctioned loans of Rs 57,363 crore for Delhi Metro (3 phases), Bengaluru Metro, Chennai Metro and Mumbai Metro Line-3 projects. Under the new modified Special Terms for Economic Partnership (STEP) with Japan, JICA loan comes at an interest rate of 0.30 per cent as against 1.30 per cent on earlier loans. The tenure of the loan will be 40 years as compared to 30 years for a normal JICA loan. One of the conditions is that 30 per cent of procurement for the projects has to be from Japan. Meanwhile, Domichi also discussed implementation of water supply and underground drainage project in Nellore (Andhra Pradesh) and Bengaluru’s Peripheral Ring Road Project, the release said. Naidu has urged JICA to speed up the Nellore project for which agreement of preparatory survey has been finalized with Andhra Pradesh government. About the Bengaluru project, the minister assured Domichi that he would talk to Karnataka government and elicit its views on it. The loan assurance for the project was given during the visit of Japanese Prime Minister to India in December last year.